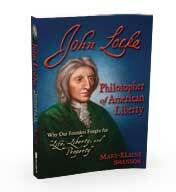 I myself have just finished a 400-page biography of John Locke, “John Locke, Philosopher of American Liberty”. As I began it, it seemed a bit tedious, but by the end I was enthralled and even more convinced that the understanding of liberty by our founding fathers, and the governments they formed to protect those liberties were firmly founded on John Locke’s political philosophy. 1632 was in the midst of the tug of war between King and Parliament, Catholicism and Protestantism, that led to the English civil war. This civil war was between Charles I, King of England, and Lord Cromwell, a Calvinist member of Parliament. Charles I, was a proponent of divine right Kings, and the primacy of the Church of England, and probably a closet Catholic. Lord Cromwell was a proponent of the Parliament and religious tolerance, and ascribed to the Geneva Bible. Charles I was deposed in 1638, and the war broke out in 1642. England was ruled by Lord Cromwell as Lord High Protector from 1647 to 1658; his son assuming the position upon his death. Cromwell’s son proved an inept leader, and Parliament accepted Charles II resumption of the throne in 1660s, and he proved relatively inept as well. Charles’ II son, James II, succeeded him, and proved to be a despot. James II fled England to France in 1688. The English Civil War was critical in the development of American self-government, if only because there was no stable government in England for more than 10 yr. The American colonies had no choice, but to exercise self-government. Locke began his studies at Oxford in 1652 and received a MA in 1658. He then studied medicine, but never received a degree. He spent the next period of his life as tutor, mentor, physician and researcher in the families of influential members of Parliament. His positions in the families of members of Parliament made him a trusted confidant of those members often researching and writing many pieces of legislation. His familiarity with members of Parliament also led to several ministerial posts. Locke never married, partly because of his health, and partly because the one woman he loved was betrothed to a noble while he was away in a ministerial post. However, Locke loved children, and invested his love of children into the children of his patrons. His tutoring led to his writing a treatise on education which was a standard throughout the 1700’s. While serving the families of members Parliament and serving in ministerial positions, he wrote a series of published essays The Essay on Human Understanding (1671), Concerning Toleration (1689), Two Treatises of Civil Government (1690), and Reasonableness of Christianity (1695). He also contributed substantially to The Fundamental Constitutions of Carolina, particularly the section on religious toleration. In 1688, James II (son of Charles II) proved himself a despotic leader. Raising the ire of Parliament, James fled to France, where he sought to raise an army to subdue Great Britain. Parliament using the reasonings of Locke, and with his assistance, drafted the English Bill of Rights which includes a set of indictments against king James II. The basic premise of the indictments is that by leaving England and seeking to build an army, he had declared war upon the people of England, and thus abdicated his authority, leaving them in a state of nature where they were free to, and obligated to establish a new government. Parliament did this by electing William of Orange and Mary (an English Princess) as the new Sovereigns of Great Britain on the condition that they accept the English Bill of Rights. Since that time, Parliament has controlled the succession of the throne. In Locke’s essays on human understanding he sets forth the idea of natural reason versus divine revelation. God created men with the ability to observe the world around them and discern truth by reason. However, mankind is inherently self-interested which clouds his reason. Therefore, God also provided divine revelation via the Hebrew texts and then by Jesus and his apostles. He postulates that divine revelation is the gold standard to which all human reasoning must be compared. I have just finished Reasonableness of Christianity in which he treats the issues of human understanding and divine revelation along with the character of Jesus and the role of different sections of the New Testament. It is altogether an exceptional dissertation on the office of Christ, how he demonstrated that office, why he did not overtly lay claim to his office, what qualifies one as a Christian, and how the doctrines of the Epistles relate to one’s Christianity. What is even more fascinating is that the man who should give us such a complete dissertation on Christianity would give us what is generally recognized as a premier treatise on the natural rights, the need for government and the just powers of government. Given the frequent references to scripture in his treatises on government, and his forceful advocacy for Christianity, one cannot escape the conclusion that his theories on government are derived from his understand of God. In his understanding of natural rights, Locke departs from his predecessors. Natural rights have been a subject of philosophy since the Greeks. Men like Socrates, Aristotle, Cicero, Aquinas and Hobbes have written on them. However, Locke makes a distinct shift. The Greek and Roman philosophers naturally based their arguements soley on human reason. Even the Christian philosophers began on that foundation, arguing from the Greek and Roman perspective. Locke instead began his reasoning from scripture. The nugget of his reasoning is that while all of nature speaks of God, and God gave man reason by which he might discern God’s laws; all men fall short of God; and therefore, their interpretations of God’s law are imperfect. Each man will interpret God’s law to his advantage. Fortunately, we are not left to founder. But God gave us his revealed law, first through the Hebrew Scripture, and then by God himself, that is Christ. God’s revealed law is the plumb line by which all human reasoning must be measured. Thus, Locke begins his understanding natural law from Scripture, and not from human reasoning. Accordingly, while man’s reasoning says that there is something wrong when one man has a surplus, and another has lack to the point of starvation, and therefore, the starving man has a write to steal food; Locke observes that Scripture state you shall not steal, but God also gives us an individual obligation to help those in need. Thus, he observes that what a man labors for is his own to dispose of as he sees fit; the failure of one’s duty to care for a neighbor in need is not for government to enforce, but The English Bill of Rights proceeds from the philosophy of Locke and not from his predecessors. When reading the American Declaration of Independence, it echoes the English Bill of Rights so closely that it is almost eerie. Many of the indictments of king George are the same as those of John II, differing only particulars, depriving them of his protection. The Declaration of Independence makes the case that all men have natural rights, those rights life, liberty and property are the rights enumerated by Locke. That when the government fails to protect those rights, the people have the right to reform the old or establish a new government. All of these principles were stated in the English Bill of Rights as drafted by John Locke at the request of Parliament. The American Declaration of Independence so closely resembles the English Bill of Rights that there can be no question that the Declaration is the foundation for a Lockean social compact. Many of the declarations of the several States also echo the sentiments of Locke.So how did the philosophies of Locke become so intertwined with American liberty. First, the English who settled America, particularly in the north ascribed to the same edition of the Bible as Locke, the 1599 Geneva Bible. This edition is substantially different from its successor the King James Bible which was commissioned by King James to assert divine right kings, and who himself wrote on divine right kings asserting that they were a different breed of humans. The King James copied the division of scripture into Chapter and Verse from the Geneva Bible. But, it eliminated the commentary that facilitated the study of Scripture. In Exodus that commentary commended the Hebrew midwives for disobeying Pharaoh when his edict contradicted God’s law. It generally replaced the word “amend” (to change for the better) with the word “repent” (to feel bad about, with no requirement to change); though repent did acquire the meaning to change in theological context. It removed the reference to the law of God in Romans 1:31 (Romans 1:30 in King James) and worldly governors from those we contend with in Ephesians 6:12. These are a few of the alterations which excuse nobility from Gods laws. The Geneva Bible was generally the Bible of America well into the 19th century. It is also important to understand that during the Great Awakening, a religious revival beginning in 1740, Locke’s principles of government, and the British deviation from them, were taught from the pulpits of New England. These sermons were republished and distributed throughout the Colonies. He was referred to as the Great Mr. Locke, and Mr. Locke. Locke’s Second Treatise of Government was published by Edes and Gill of Boston in 1773. Samuel Adams, considered the father of the American Revolution, advocated the study of the Treatise. Neither was Samuel Adams the rabble rouser that we see his as today. That was the opinion of Governor Thomas Hutchinson, not of his American contemporaries. Samuel Adams like Locke was a devout Puritan. John Adams said of him, “He is a Man of refined Policy, stedfast Integrity, exquisite Humanity, genteel Erudition, obliging, engaging Manners, real as well as professed Piety and a universal Good Character, unless it should be admitted that he is too attentive to the Public and not enough so, to himself and his family.” Adams wrote on Liberty quoting directly from Locke. When promoting the 1773 publishing of the Second Treatise on government he wrote that it ought to be, “early and carefully explained by every Father to his Son, every Preceptor in our public and private Schools to his Pupils, and by every Mother to her Daughter.” This incidentally speaks to the near universal literacy of those born in America at the time of the war for Independence. Most were taught to read by their parents, and entered school already knowing how to read. John Locke’s Second Treatise of Government was informed by the evangelical principles of self-government found in the commentary of the 1599 Geneva Bible, the Bible of America into the 19th Century. Thus, we can conclude that the American governments are Lockean social compacts based upon Locke’s Second Treatise of Government derived from the evangelical principles found in the 1599 Geneva Bible. This essay is one of a series on the Christian origins of America’s system of government. The Honorable Daniel C. Itse, known as Dan Itse, is a Christian and conservative Republican member of the New Hampshire House of Representatives. A native of San Francisco, California, Itse is a professional engineer. Dan is married to his wife Lisa, and has five children. Thank you for this excellent, eye-opening explanation of the development of America’s system of self-government from the Geneva Bible to John Locke and the English Bill of rights to America. I’m learning at 60 what every school child knew at the time of our founding! (However the grammar and spelling errors were distracting—it needed a better proofreader before going to print. I would be happy to help in the future for free, because I believe in the content). This was my oversight. A pressed schedule is no excuse. Thanks for reading and thanks for the heads up.–ed. I appreciate the feed back (positive and negative). As an 18 yr legislator in N.H. my interest in constitutional history was sparked in about 2006. Now at 60 myself, though a late starter I have immersed myself. I am off this term due to relocation, and am dedicating myself to teaching Locke. I am calling the series, “Locke the Key to American Government”.